Every year on Black Friday, my wife goes shopping and the boys and I go to my parents’ house. We watch some football, eat some leftovers, play some video games, and (usually) go to a movie. This year we went and saw the best theology-rich movie in years. Seriously, this movie was amazing. It was poignant, subtle, brilliantly directed and acted, and written so well that everyone from a child to an adult can understand the theology. What was this great movie? Yes, Disney’s Frozen, the kid’s movie. This movie is a must-see for all Christians, in my mind, both adults and children. It was funny, appropriate for any age, and there is a lot more depth to this than your typical Disney-princess movie. So let’s go into that now, shall we? 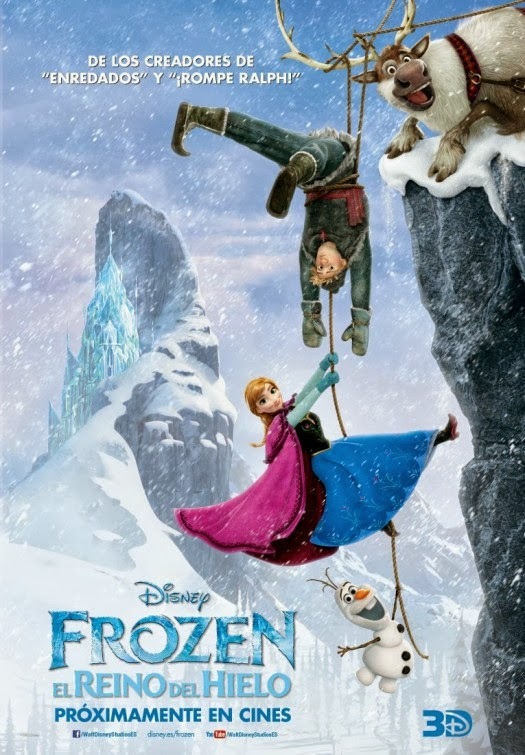 Frozen centers around the lives of two princesses, Elsa and Anna. Elsa, the elder sister, has a blessing/curse of magic – she is capable through willpower and emotion to create anything cold, from snow to ice to storms. Anna, the younger sister, is a precocious, clumsy, and yet sincerely adorable girl. When the two are children playing together, Elsa accidentally freezes a part of Anna’s mind. The local trolls are able to save her, but in the process of extracting the effects of magic they also extract the memories of seeing her sister perform magic. 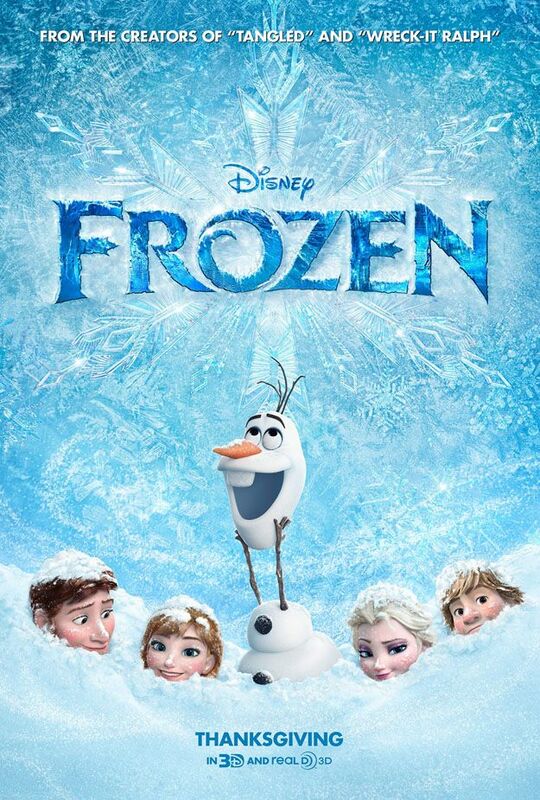 Fearful of a relapse of Anna’s brain-freeze condition, Elsa and her parents agree to keep her magic hidden and secret from Anna, as well as from everyone else. As Elsa grows up, she becomes less and less able to control her gift/curse. Her parents repeat the mantra, “Conceal it, don’t feel it,” and she spends her life as an act of willpower to keep her abilities from being known. Her fear of hurting her sister and her attempt to keep her gift/curse hidden lead her to live a life of isolation. She spends her life in her room, hidden from the outside world, gates to the castle closed: and, more significantly, the gates to her sister’s heart closed. However, her attempts at controlling her powers ultimately fail. Every time she becomes emotional or stressed out, her “curse” comes back out again. Eventually this results in an embarrassing public show which gets her branded a monstrous sorceress, and she flees into the mountains. In the process, the storm inside of her translates literally to the world around, locking the kingdom in an everlasting winter. The rest of the plot is about Anna trying to reunite with Elsa and convince her to end the eternal winter. 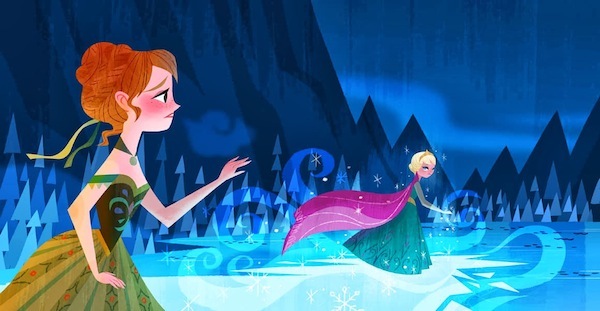 In the process, Elsa accidentally gives Anna a frozen heart. Now a frozen heart, we are told, is much different than a frozen head – and much harder to cure. Only an act of True Love can cure it. The characters assume – as do we – that the act of true love is a kiss. Anna (who is being pursued by two suitors) rushes around trying to find True Love’s Kiss to break the curse. And that is when the movie gets EXCELLENT. Through the entire movie, I could not help but notice (and empathize with) the plot of Elsa. She was attempting to control her gift/curse through willpower. She tried harder and harder and harder to invent ways to protect her sin from showing, to control something which is undeniably part of her nature. She failed, however. We do the same, of course: the Law (i.e., acts of work and control) has no power to save, only to condemn. The harder Elsa tried to keep the curse in, the more the curse came out: works of the Law are primarily successful only in demonstrating our inability to keep the law. When Elsa fled to the mountaintop she thought that there she could finally be free – free of expectation, free of trying to hide her true self. But then she found out that her curse had actually grown in power, and even more people were affected. The lesson from Elsa’s life is clear: the sin-curse that we have cannot be controlled through works of the Law, and it cannot be controlled through isolation. 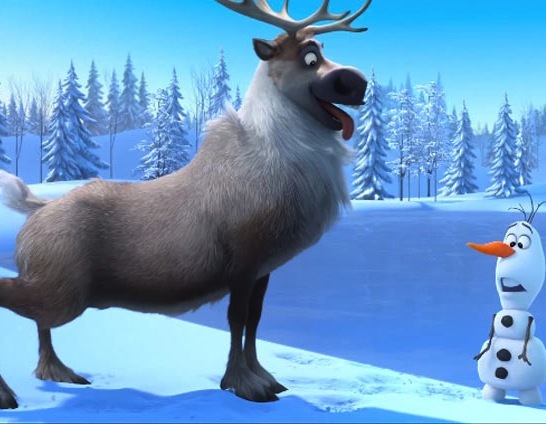 Even if Frozen had stopped there, it still would have been a valuable lesson on the Law. And that is where I expected it to end, as Anna raced home to get her True Love’s Kiss, which would be the act of love needed to set her free. Or so I thought. In an ordinary movie, “True Love’s Kiss” would indeed be what broke the curse. This is no ordinary kid’s movie. Anna stood, nearly frozen to death, as her true love approached for the final kiss. She thoroughly believed that this was the only thing that could save her. Then, from the corner of her eye, she saw her sister Elsa, about to be killed by an enemy with a sword. Elsa, the woman who was basically alien to Anna. Elsa, the woman whose actions endangered Anna and everyone else. Elsa, who refused to help when Anna needed her to. What did Anna do? She turned away from her “true love’s kiss” and ran to save her sister. Anna placed herself between the sword and her cursed sister, giving her life for her sister’s. She willingly died in order to save the cursed one, who had done nothing to deserve such an act. Sound familiar? John 15:13: “Greater love has no one than this, that someone lay down his life for his friends.” In this story, Anna serves as an archetype of Jesus: she gave up her own life, truly dying to save someone who was basically a stranger and who had done nothing to earn her love. Why did she do so? As we find out later, it was because she loved Elsa – a love which was unearned, and imputed to her by Anna simply because Anna chose to love her. 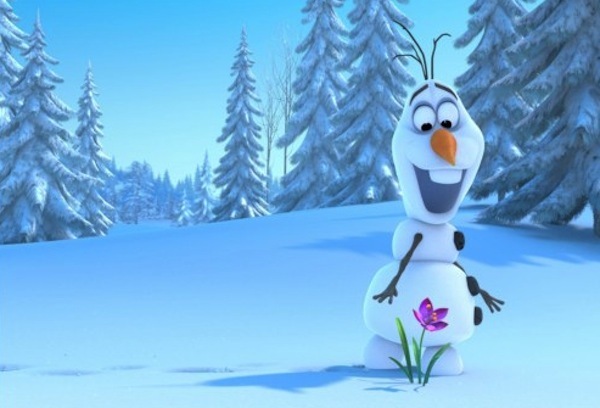 Olaf, a snowman, defines love for Anna earlier in the film, and it is not the romantic eros love typically taught in Disney films. He defines love as “putting someone else’s needs before your own”, and the snowman illustrates that himself, being willing to melt to save Anna. This is of course a pretty dead-on description of what the Bible calls agape love…self-sacrificial, unearned, unconditional love. But of course, Anna’s story doesn’t end there, just as Jesus’ didn’t. It was the very act of sacrificial love which melted Anna’s heart and brought her back to life, again fulfilling the Jesus archetype. But STILL this movie isn’t done. Elsa’s actions act as an illustration of the inadequacy of the Law to free us from sin (as she says, “I can never be free…”). Anna’s actions act as an archetype of the Christ, laying His life down in love, the act of True Love serving to break the curse and save us. But that was not all. Now the movie goes even further, and it shows us the curse being redeemed. 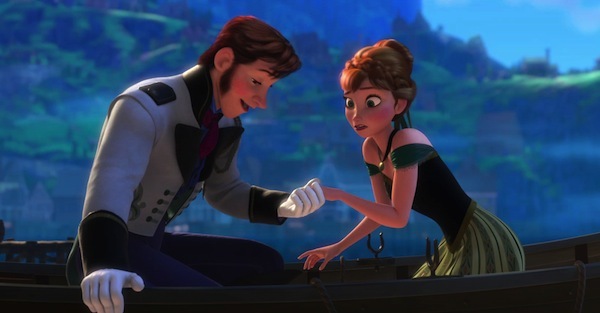 When the risen Anna explains that it was love – not works or isolation – which unfroze her, something clicks in Elsa. Never before had she heard that. Never had she tried that. She had spent a lifetime trying to “earn” her goodness (“Be the good girl you always have to be,” is a repeated part of her monologue song.) Now, she stopped trying to earn it and reveled in the unearned love that her sister had shown her. And something amazing happens…all of a sudden, Elsa is actually able to control the curse. No, there is more than that: not only is she able to control/eliminate the “sin” of the curse (having been freed by the act of true love), but indeed the curse is now redeemed. Now she is able to use her gift for the enjoyment of her kingdom, instead of having to keep it quiet and controlled. I left the movie amazed, and went and saw it a second time with my wife this weekend (after her Black Friday shopping concluded). It is not only fun and enjoyable (as most Disney films are), but the thing sounds like it was written by someone who really gets it. Frozen manages not only to be one of the most charming children’s films in years, but it serves up the concepts of law, grace, and redemption on a silver platter – either for you to have a way to explain it to your kids, or simply for your own enjoyment. I can’t recommend it highly enough: this movie gets an A+ from me! I can’t agree more with this review – my two young daughters and I watched it twice over Thanksgiving weekend. One of only two other movies I’ve ever seen at the theater more than once. I was able to tie Anna’s actions into our reading of the Jesus Storybook Bible! It wasn’t only my daughters who benefited from this picture of the saving grace of sacrificial love. I need this picture/reminder everyday. Yes!!! I went to see this movie with my wife and kids and my son’s friend. I sat there amazed at all of the gospel truths unraveling in this film and my wife and I had a good discussion about it together and with the kids on the ride home. I had breakfast this morning with my best friend and tried to summarize some of my thoughts on this movie. Then, low and behold, I get on Mbird this morning to see this summary. I couldn’t say it better myself, so I sent my friend to read this post. I love what y’all are doing here. Thank you. This analysis is spot on and as I think about the movie more, I see even more Christian themes! When Anna comes between Elsa and the sword of punishment meant to kill Elsa for her “sins against the kingdom” (“the wages of sin is death”) it hits the frozen Anna but does not destroy her. Instead, it is the sword (“death”) that falls to pieces when it hits Anna and is destroyed! The instrument of death or punishment for sin (the sword) is destroyed by Anna’s sacrifice of love and can no longer be used against Elsa. Amazing!! Also, did anyone see the parallels of the story with Narnia? When the evil Witch (the Snow Queen) in Narnia is in power, an eternal winter falls over Narnia! It does not start to thaw until Aslan returns, much like in Frozen when spring returns to the kingdom after Anna’s sacrifice!